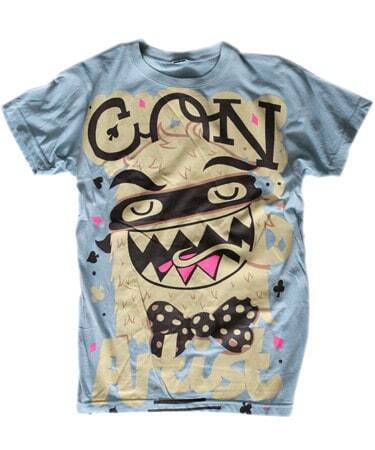 Win a Greg Abbott t-shirt from Con Artist! The Con Artist Collective (who have loads of cool stuff in their store) are giving away the t-shirt you can see above, the style of which gives it away immediately that it’s by one of my favourite tee designers, Greg Abbott. All you have to do to be in with a chance of winning is like their Facebook page and then enter giveaway (it’s the top post on the page at the moment, I think it’s been stickied). The giveaway is open until January 21st but you might as well enter now, why bother waiting?